Lawyer, MLA (1888-1892), MLA (1892-1895), MLA (1896-1899), MLA (1900-1903), MLA (1903-1907), MLA (1908-1909), judge. Born at Stratford, Ontario on 22 July 1848, son of Alexander D. Mickle and Elizabeth A. Mickle, he received his early education at Stratford, and was admitted to the Ontario Bar in 1872. He came to Manitoba in 1882, taking up residence at Birtle, where he continued his law practice, sometimes in partnership with John Crerar. In 1889, he married Mary A. Ross (1855-1938), of Stratford, and they had two daughters. He was acclaimed to the Manitoba Legislature, representing the Birtle constituency, in 1888 and was re-elected or acclaimed in 1892, 1896, 1899, 1903, and 1907. 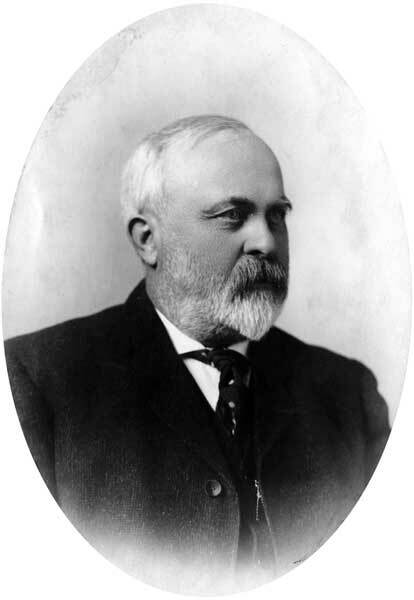 He held the portfolio of Provincial Secretary in the Greenway government from 1896 to 1900 and, after Greenway’s retirement, became leader of the Liberal opposition. He resigned in 1909 when he was appointed County Court Judge for the northern district, with headquarters at Minnedosa. He died at Minnedosa on 10 November 1919 and was buried in the Birtle Cemetery. He is commemorated by Mickle Avenue in Winnipeg.